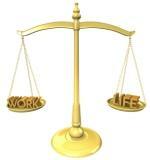 Do you want to improve your work life balance? Whatever time you invest to do so will pay you back many times over. You’ll feel less stress and greater satisfaction in the way you’re living and working. Do an assessment to get an idea of how you’re using your time now. You can then determine if you’re a workaholic or if you’re risking burnout. Ask the people in the part of your life you feel is lacking to tell you what they think of your work life balance. You may be shocked by what you hear, but it’s probably got at least a grain of truth in it. You can, and probably should, include asking yourself! Build up a more accurate reflection of your current habits -- developing self awareness this way puts you in a better position to do something about those issues you want to tackle. "What would I love to do more of?" More of the same? Keep doing what you do. But I guess you want more time for some things and less for others -- that’s why you’re reading this, right? Make a list of the things you want to be doing more of. Exercise? A hobby? Time with family and friends? Balancing work and family is an art in itself. This is right at the heart of good time management. Setting limits is hard at first, particularly if you’re not used to doing it, or you tend to work the wrong side of the 80-20 rule. But the more you do it, the easier balancing becomes. you can put in place to begin with. Could you time box 15 minutes each day for something or someone you love? How about going home from work at set times on set days, starting with one day a week? Once you’ve built one boundary, make another… and another. The same goes for routines. Look for ways to schedule more of what you love. Fence off a regular date to, say, enjoy a meal, rent a movie, or be with someone special. This tends to work best divided into weeks, so use a weekly planner to ensure you ‘pay yourself first’. The cumulative effect of all this adds up. You become more balanced because you feel you are. Most people could do what they have to do, to the same degree of quality, but quicker. We’ve all got habits that cause us to drag out our work. The result? Less time to do, be or have what we love (which could and, ideally, should include work itself). How to do that? By gradually learning time management skills and how to get organized so that you waste as little time as possible. This applies whatever your circumstances, whether you're in a pressured results only work environment, faced with too much time on your hands, or dealing with some other kind of challenge. This goes for anything that isn’t directly related to your work, or doing what you love. It’s tempting to think that multi tasking is an efficient use of time, and it can be when used appropriately. But maximum efficiency is achieved when you work at work and leave it there when you leave your workplace, wherever that happens to be. Work life balance can always be improved. Circumstances and situations are never the same for long. The ebb and flow of work, responsibility and desire for what we want are constantly changing. Make it a habit to review your situation on a regular basis and adjust accordingly. As with all time management issues, it’s impossible to ever ‘achieve’ a good work life balance -- it's like being on a tight rope -- you're only okay for as long as you keep your balance. Rather, it’s about adopting a kaizen approach to the systems, structures and habits we use to make us feel we have a healthy balance between work and life.